Tyke Supply llc Aluminum Stair Climber Hand Truck. Aluminum Stair Climber Hand Truck Heavy Duty Commercial Quality. 330 LB Capacity for stair climbing 550 LB Capacity for flat level ground Nose plate: 18" Wide x 7.5" Deep Overall size: 26.3 D x 19.2 W x 60 H Weight: 37.5 LBs 3 - 6 1/4 inch Solid Rubber Tires each side. Whole wheel assembly rotates to allow the dolly to climb the stairs. VERY light weight, yet surprisingly strong. My co-worker and I used it to haul a 480 LB air compressor pump up 6 flights of concrete stairs, and then brought a broken one of the same model down the stairs again with this item and it performed extremely well. It seriously saved us both a lot of pain and soreness compared to using a standard hand truck. HIGHLY recommend this item. Fantastic Serious Stair Climber! but 40 pounds empty is not light. Price is very, very inexpensive for such great quality! Two loop handles with second short angled handle is a smart and best design because it gives great hand position for stairs. Other stair climber hand carts with a right and left hand grip (like a bike) are a very poor idea for stairs. Wheel design worked great on basement stairs that have no riser boards. Stairs have 9" tread with an 8" rise. Each wheel is 6 ¼" but worked fine. Much deeper load foot/plate then an appliance dolly @ 7 ½" deep. Rod for wheels extends across the back. It's 5 inches up from floor and 6 from the rear of the unit. I love it as a foot push in some loading, stabilizer/brake if you have someone in front of the load pushing it on/to you and for off loading the load by slightly tipping the load forward and pull the hand truck back with the front of my foot/toes with that cross the back wheel rod. Clean (no oily or greasy parts) assembly/build. Everything screws, rods, washers, wheels.. was clean so I didn't have to clean it before I constructed it. I picked this one for the reasons above and because it has 3 wheels. 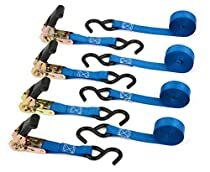 I've used other hand trucks with two wheels and a sliding track/pads/bar and they all have had issues, like rubbing friction, a sticky roller track and mostly, having to keep a proper angle with the hand truck to the stairs. That is where (for me) the track/pads/bar fail. Trying to keep a proper angle is a pain, it makes you have to keep the hand truck awkwardly low and you my find your feet getting in the way as you pull. My wish is for a junior model for lighter duty with a longer foot/plate for solo box moving up stairs. This stair climber is stellar but empty the weight is 40 pounds. Not small or light weight but wish I had one 20 years ago! Great back saver! Pros- Very Strong, Large Foot, Fantastic for going up and down stairs and over thresholds (works great! ), Puts a lot less stress on your back going down stairs, On flat ground it rides on 4 wheels making it very stable and easy to roll, Mostly made of aluminum except for wheel assembly, Long handle with middle handle making it much easier to maneuver (If you are tall), It's faster than regular hand truck by far, Was shipped next day after order via UPS ground which took 6 days to arrive in the Eastern part of the Midwest. I'm very happy with it wish I had one 20 years ago! Cons-Not Light Weight (should remove that from their ad), Arrives in big box that is not very strong, You put it together, Poor assembly directions, Semi-hard to assemble (but worth it), Not for Novice movers - it would be easy for a novice to get going to fast down the stairs and lose control. No built in ratchet strap - you supply your own. A little harder to turn than 2 wheel dolly. You must buy your own lock to keep it from getting stolen.